It's an interesting coincidence that both the Blue Jays and Raptors have strung together multiple win streaks of 11 games but never 12. I believe the Jays have hit 11 at least five times now and I know the Raptors have reached 11 at least twice. When I have time, I'll try and find precise numbers. With the Raps loss today to halt their streak at 11, here's the longest winning streaks in franchise history for each of Toronto's main five professional sports teams. Can We Talk About the Raptors? When DeMar DeRozan drove to the net with a thunderous dunk to give the Raptors the lead late in the fourth quarter last night, I leapt out of my seat. OG Anunoby is still hurt, Serge Ibaka got ejected and Delon Wright left the game with a sprained toe, but DeRo had us. We beat the Pistons by capping an awful OT with a long bucket from Fred VanVleet. It's our sixth win in a row, and our franchise-record 17th game in a row scoring over 100 points. Oh, and we clinched a playoff spot. It is the earliest point in the season a Toronto team has ever clinched a playoff berth. 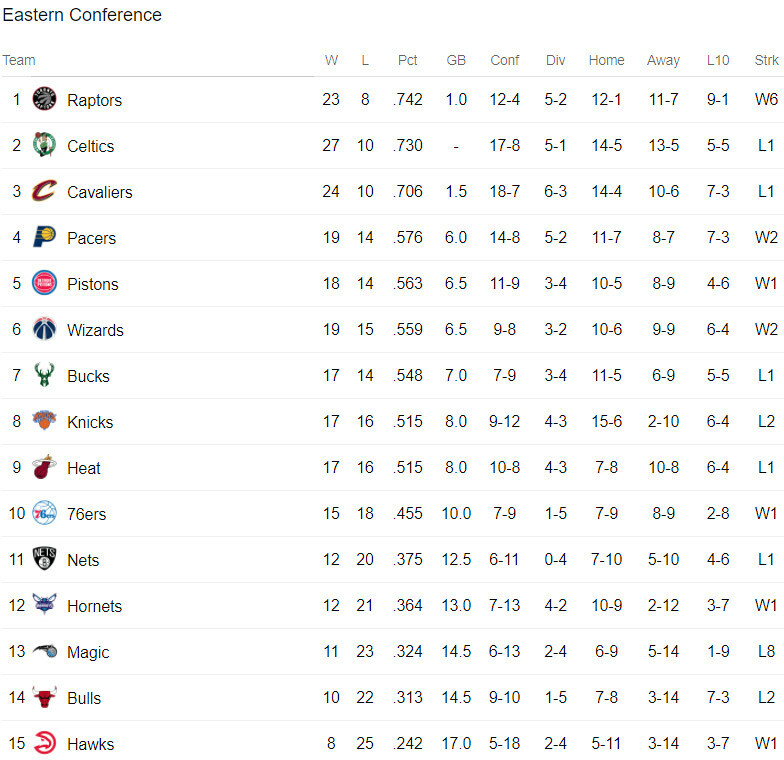 And did I mention the Raptors lead the Eastern Conference by 2.5 games? This team is both very good and very likeable. We're the beasts of the east and all bandwagon jumpers are welcome! DeMar DeRozan had a hell of a game last night against the Milwaukee Bucks. When it was all said and done, he had 52 points, a new Raptors record. It's worth noting I watched on television and did not attend this game. That's a key detail because I was in attendance for both Vince Carter's 51 point game in 2000 and Terrence Ross's 51 point game in 2014. That coincidence led to some interesting math. So, there was a 0.0045% chance of that happening. Although now that DeRozan has the new record, I suppose none of it matters. 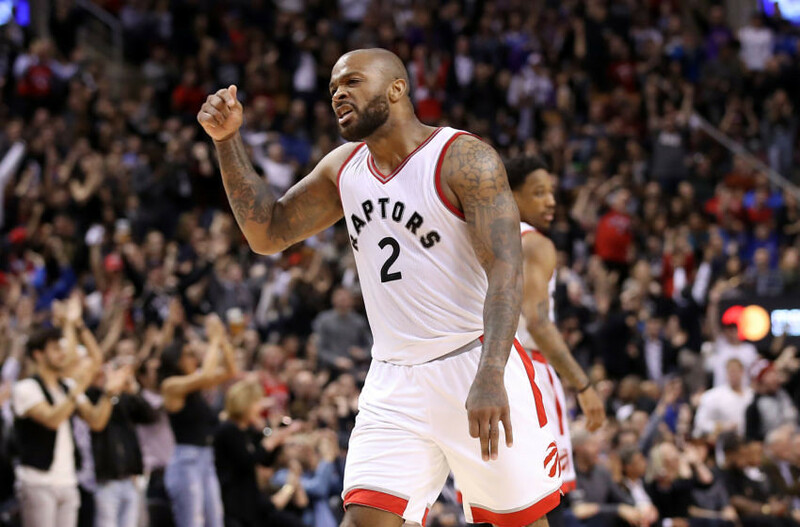 Despite frustrating me for three quarters, the Raptors actually won in Milwaukee yesterday to tie their first round series with the Bucks at 2 games apiece. They should advance to the second round, although nothing is a surety when this team is in the playoffs. They're rather unpredictable, hence the frustration. Tonight I'll be glued to the Leafs game as we try to win at home to force a game seven with the President's Trophy winning Capitals. What a series this has been... four games have been decided in OT and the other was decided by a single goal. The Leafs are hanging with the big boys and it's been thrilling. Meanwhile, the Blue Jays are in Anaheim so I've been waking up to find out how we've done. We lost last night, lowering our record to 4-13. That's a .235 winning percentage. That's bad... very, very bad. The past two years the Jays and Leafs were flipped. The Jays were thrilling, advancing to two ALCS. The Leafs were junk. They've essentially switched spots on the Toronto pro sports spectrum. One day, all three teams will be competitive. It's never happened before, but hope springs eternal. In the meantime, I'm just glad we've had two out of three in the playoffs the past few years. It sure beats how things looked a mere five years ago. And two out of three ain't bad. I've been busy. I've failed to document not one but two significant trades involving Toronto teams. 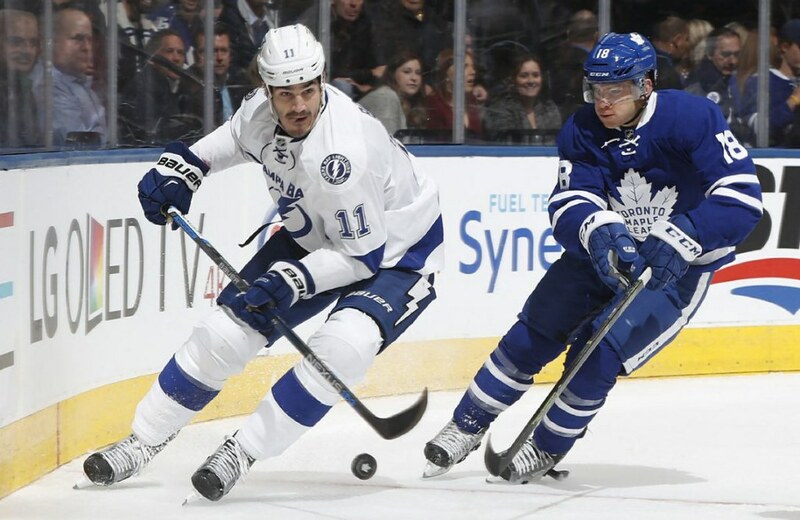 Yesterday the Leafs sent minor-leaguer Byron Froese and a conditional second round pick in 2017 to Tampa for fourth-line centre Brian Boyle. The only reason you make this deal is to make the playoffs this season. It seems the tear-down is officially over. Depending on the day, I can be passionately want the Leafs to miss the playoffs and land another top ten pick or make the playoffs and give me some fun April nights with the family. It seems the Shanaplan now calls for option #2. Giddy-up! The Raptors, meanwhile, have won four in a row after a rough stretch. All four games have been comebacks from double-digit deficits and thrilling finishes. The defensive intensity late in games has been amped up with the addition of Serge Ibaka and now P.J. Tucker. While I was busy, the Raptors sent Jared Sullinger and two second-round draft picks to Phoenix for the former Toronto draftee. We're going to need him if we're going to take a series against the Cavs. We're all hoping we don't meet the Cavs until the conference final, but Kyle Lowry's surgery makes that unlikely. But if a finals berth goes through Cleveland, it might be better to catch them early. Here's hopin'. Terrence Ross was infuriating, but I have such a soft spot for the guy. 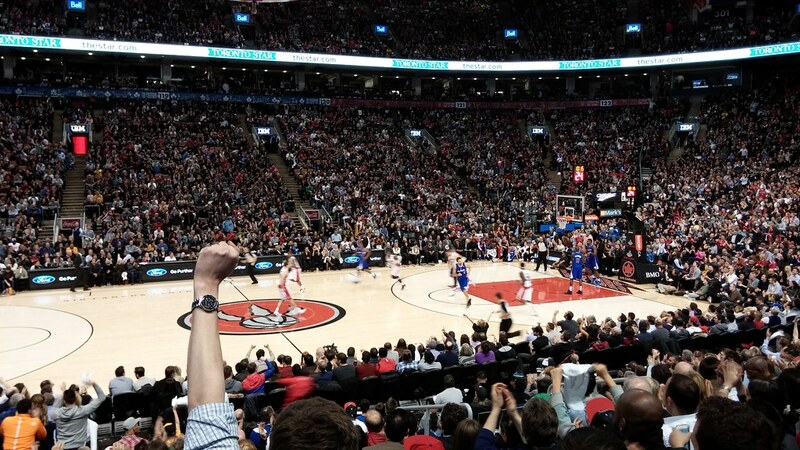 When my buddy was battling cancer, I managed to score two sweet seats from Ford Canada to see the Raptors take on the Clippers. My buddy was a huge Raptors fan and I wanted to help boost his spirits. Alas, my friend wasn't feeling up to attending the game, but when I tried to return the tickets to Ford, they suggested I take my daughter. So that's exactly what I did. That night, Terrence Ross went off for 51 points, tying the franchise mark set by Vince Carter in 2000. As luck would have it, I was at that game, too! When you take your daughter to a game and a member of your team scores 51, you adopt the guy as yours. Every time Ross threw down a big dunk, and the man could dunk, we'd exchange knowing glances. Now T-Ross and a first round pick has been shipped to Orlando for power forward Serge Ibaka. Masai Ujiri's wanted Ibaka for a while now, and for good reason. Ibaka fills a need the Raps have and inconsistent Ross was a small price to pay. Good luck, Terrence. We'll always have that 51. I've been blogging here for 14 years, and during that time there were some pretty low times in Toronto sports. Just four years ago I wrote this about the new bottom for Toronto sports teams. Things were very, very bad for the big five. In 2016, things got a whole lot better. In fact, there's something great to report about every team in the big five not nicknamed the Argos. Although we didn't win a championship, we were close! Ten years after their birth, TFC hosted the MLS Cup final, losing a heartbreaker to Seattle. That second leg against Montreal in the semi-final was absolutely thrilling. For the second year in a row, the Blue Jays played in the ALCS. Unlike the hype train of 2015, this didn't seem likely in September as we sputtered into the playoffs, but an Edwin walk-off against Baltimore in the wildcard game and a sweep of the Rangers in the ALDS helped recapture the joy of the previous year. For the first time in franchise history, the Raptors won a best-of-seven playoff series. And we did it twice! We even took two games against Cleveland in the conference finals, making this far and away the best Raptors season, ever. Last season, the Leafs were bad. Very, very bad. This is a good thing, as it helped us land Auston Matthews with the first overall pick in the draft. Now, with Matthews, Marner and Nylander, the future actually looks bright and the present is a lot of fun, too. Let's not ruin this entry with an Argos update. In addition to successful developments for the big four teams in this city, Toronto hosted the Grey Cup, World Cup of Hockey and World Juniors. 2016 was a very good year for Toronto sports. Let's hope for a championship in 2017. Last night, the Raptors were in Oakland losing to the mighty Warriors. I went to bed after a disastrous first quarter but see we came back to make it a game. 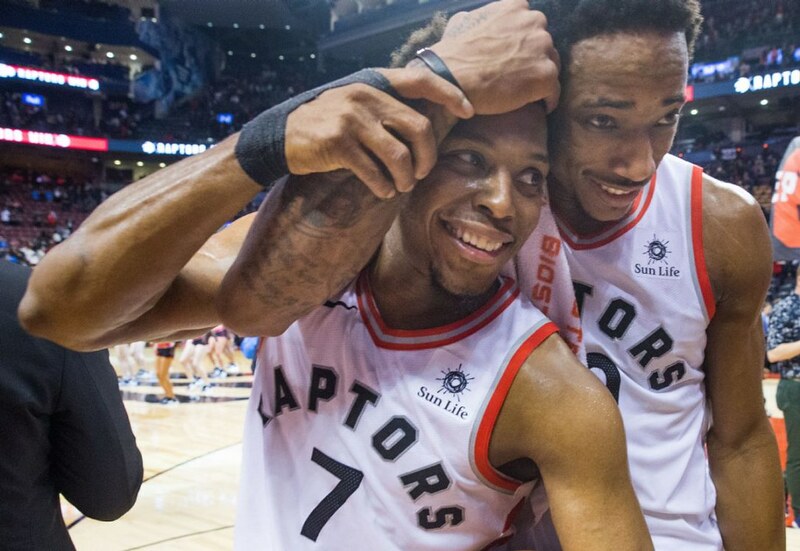 At some point, DeMar DeRozan surpassed Chris Bosh as the franchise leading scorer. He now has 10290 points. Here's the current all-time Raptors top ten.